If you can't make it to France on July 14, here are five places to celebrate in NYC. Bastille Day, also known as French National Day, celebrates the storming of the Bastille and the beginning of the French Revolution. If you can't make it to France on July 14, here are five places to celebrate in NYC. 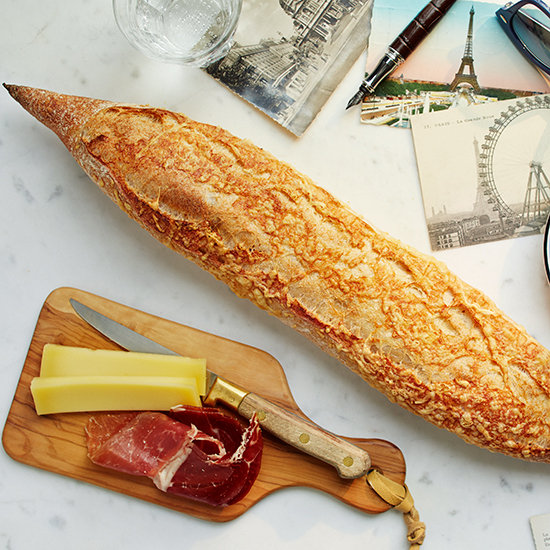 Celebrate Bastille day with Kayser's "Baguette Frenchie"—stuffed with prosciutto, Gruyère cheese and caramelized onions. Enjoy a glass of St. Tropez rosé and a slice of lavender cheesecake in Southern French style at MAMO, the SoHo import of the French Riviera staple MAMO Le Michelangelo. In honor of the French holiday, Le Rivage will offer chef Paul Denamiel's French onion soup burger and a beer for $17.89. The price references the storming of the Bastille on July 14, 1789. From tangy Loire Valley goat cheese to nutty comté, Murray's will offer an epic cheese tasting paired with French wines. On Sunday, July 12, chef Francois Payard will serve classic French foods such as chocolate éclairs, lemon tarts and ham-and-cheese sandwiches at the Bastille Day on 60th Street fair, hosted by the Alliance Française.